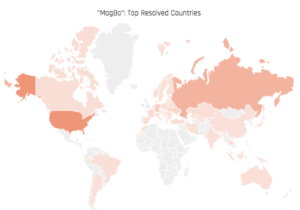 Access to approximately 3,000 breached websites has been discovered for sale on a Russian-speaking underground marketplace called MagBo. Access to some of the sites is selling for as low as 50 cents (USD). 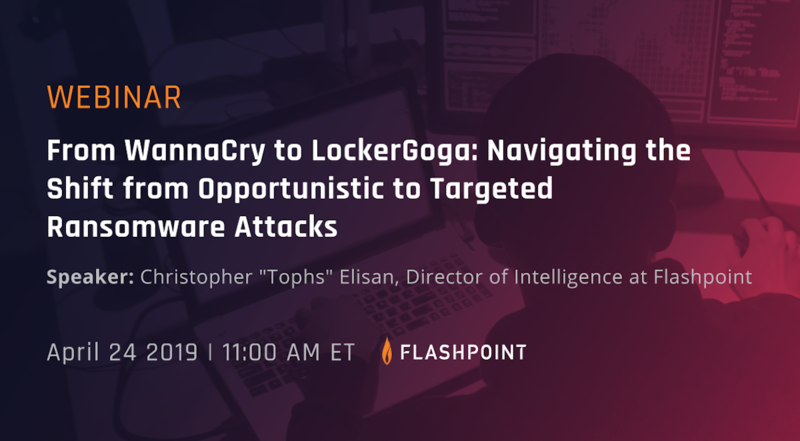 Analysts at Flashpoint who discovered the availability of access to the breached sites said that most of the victims come from ecommerce, while other victims in industries such as healthcare, legal, education, insurance, and government agencies were also found. 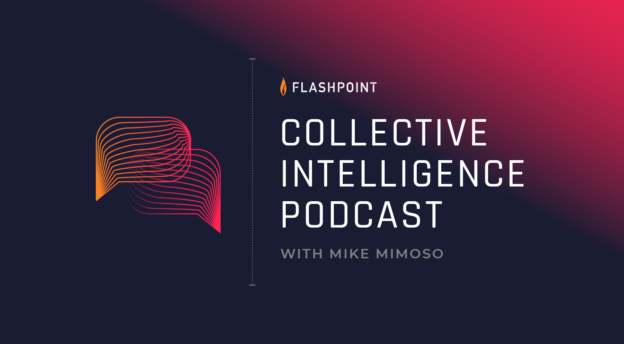 A number of the available servers investigated by Flashpoint led analysts to conclude that most of the breaches are from either U.S., Russian, or German hosting services. Image 2: The geographic distribution of affected servers shows most breaches linked to U.S., Russian and German hosting services. 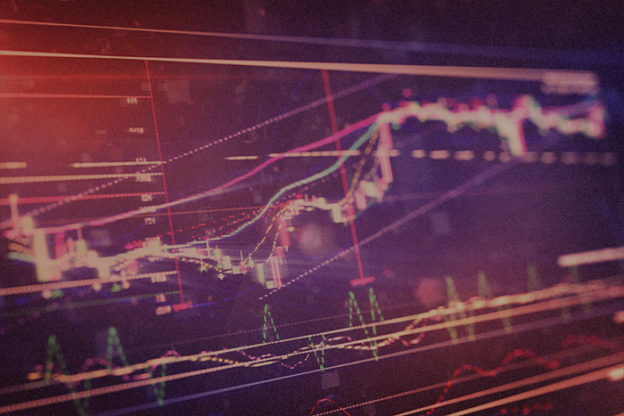 This particular market is populated by more than a dozen vendors and hundreds of buyers who sell and take part in auctions in order to gain access to breached sites, databases, and administrator panels. Flashpoint has shared its findings with law enforcement, which is working to notify victims. 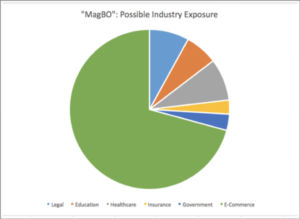 Image 3: Most of the breached sites offered on MagBo are in the ecommerce industry. Illicit access to compromised or backdoored sites and databases is used by criminals for a number of activities, ranging from spam campaigns, to fraud, or cryptocurrency mining. These compromises have also been used to gain access to corporate networks. This could potentially allow actors to access proprietary internal documents or resources, as well as entry points through which they can drop various malicious payloads. The types of vulnerabilities present and the ways in which they can be exploited depend on the threat actor’s specific capability, motivation, targeting, and goals. This is an uneasy trend that may have manifested itself already in a few high-profile publicly disclosed incidents. A recent well-publicized breach, for example, involved custom-built infrastructure, according to researchers at RiskIQ, allowing the attackers to avoid detection and compromise the data of 380,000 customers. Such an attack likely required compromised access and the ability to manipulate site content and inject code in order to steal customer data. Today, a month-long breach at a computer retailer was disclosed. Attackers were able to inject code into the retailer’s site that sniffed for payment card numbers. In both breaches, researchers at RiskIQ and Volexity said the Magecart hacking group was behind the attacks. In addition to access to breached websites, this particular market also sells stolen photocopies of national documents for identity fraud, breached payment wallet access, compromised social media accounts, and Bitcoin mixer or tumbler services. Prices for compromised websites range from $0.50 USD to $1,000 USD per access, depending on a website ranking listing various host parameters. These parameters allow the buyer to purchase the exact breach they need depending on the website value as determined and checked by the store. Image 3: A list of parameters checked by the MagBo operators to determine the viability and pricing of a breached site. High-value targets would obviously fetch a higher price and capabilities to inject payment card sniffers or other tools for deeper network penetration. Sites with a lower ranking and a lesser perceived value are more likely to be abused for cryptocurrency mining or spam delivery. 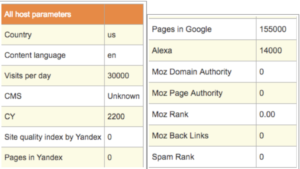 Pre-emptive measures to protect against website exploitation include conducting audits and reviews of any externally accessible websites and their connections to any organization networks.